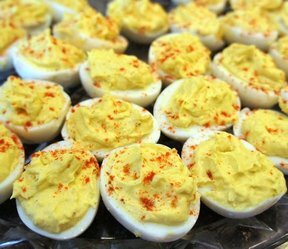 No matter how simple, everyone loves deviled eggs. 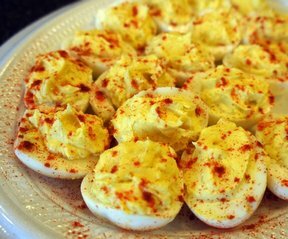 Watch these creamy eggs disappear. Be sure to hide a few away so you get a couple! Place the eggs in a single layer in a saucepan and cover with water. Bring to a boil and boil for about 5 minutes. Drain and fill the saucepan with cold water. Peel under cold running water. Slice eggs in half lengthwise; and remove yolks. 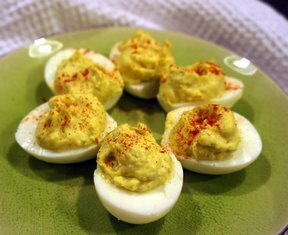 Mash yolks with mayonnaise and mustard. Add relish, salt, and pepper. Stir well. "I skip the dill pickle relish so I keep them even more basic. 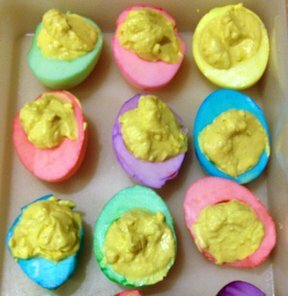 Everyone loves these and my grandkids always request them for every holiday."